Once you taste the oil, and feel the sense of joy coming from its every drop, you will understand why MYST GOLD stands out. 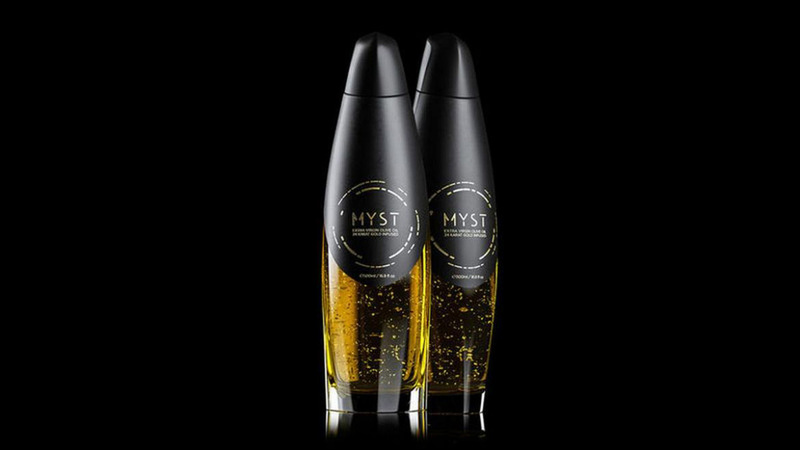 Myst Ultra Premium Food has released a luxurious set of olive oils, including a high quality extra virgin olive oil infused with 24-karat gold flakes. 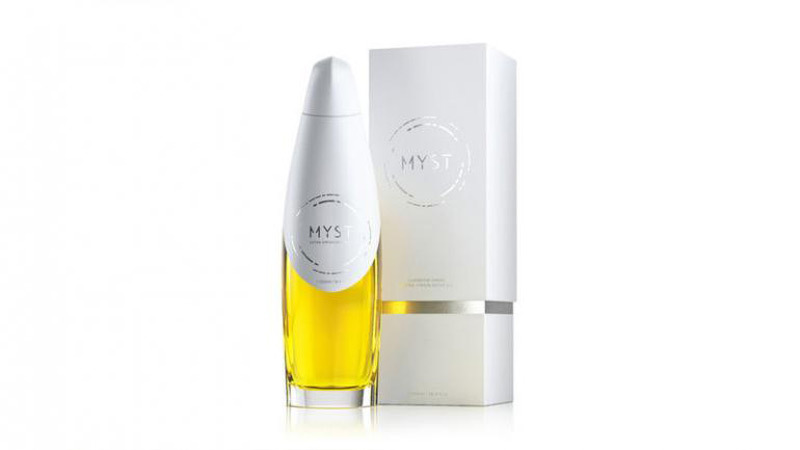 MYST GOLD contains 500 ml extra virgin olive oil, cultivated in the historic olive groves of Olympus. Ever since the times of Pharaohs in 2000 BC, gold has been considered as food able to win the favour of Gods. According to the ancient alchemist concepts, gold possesses legendary powers which contribute to a long and vital life. Olive oil is often referred to as “liquid gold.” So to emphasise the point, MYST added 24 karat edible golden flakes from the finest varieties. MYST extra virgin olive oil contains aromas of herbs, citrus fruits and floral hints with remarkable length while being exceptionally balanced. This extra virgin olive oil is produced by the method of first cold extraction at low temperatures under closely monitored hygienic conditions. The company stayed true to the words ‘extra virgin’ by steering away from using any chemical fertilizers or pesticides at any stage of the production. You can now pre-order MYST GOLD, priced at $70, while shipping is expected in mid-December.